To point out that Britain’s Anthony Joshua remains untested in 18 professional fights is to wallow in understatement. Indeed, the IBF heavyweight champion is perhaps the most untested world heavyweight champion in living memory, a claim to which his record attests; he is yet to face elite opposition in a division that is now so starved of personnel that cruiserweight Tony Bellew is currently on course to challenge for one of the belts. 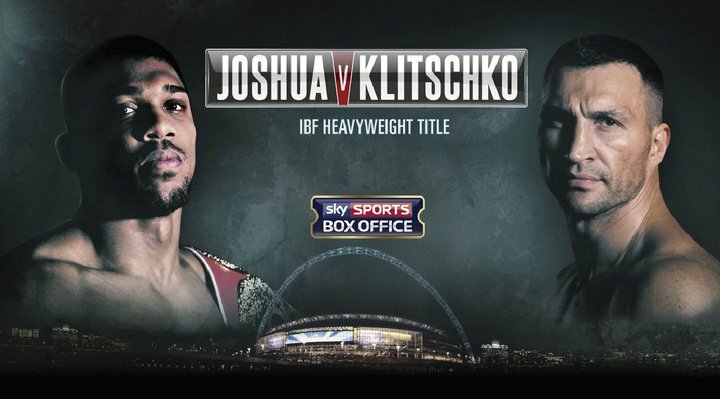 Joshua’s meteoric rise from novice to pay per view star, whose clash with Wladimir Klitschko will be in front of 90,000 fans at Wembley Stadium in London on April 29, is testament not to his achievements in the ring but instead the promotional talents of Matchroom’s Eddie Hearn. The hype that has followed the 27-year old Olympic gold medallist since he entered the pro ranks in 2013 has been of the uncommon sort, to the point where you are left scratching your head in wonderment at the extent to which so many have been willing to suspend disbelief and allow themselves to be swept up in it. This is not to suggest that Joshua doesn’t have the potential or ability to become an elite heavyweight; it is simply to point out that as yet we just don’t know. It means that against Klitschko he will be the boxing equivalent of a passenger on a Jumbo Jet who is forced to take the controls after the pilot passes out. Will he be able to land the aircraft safely, with no prior experienc of flying, or will he crash in the attempt? This is the question that will be answered on April 29. That said, there is no doubt that Joshua brings an extraordinary bag of physical and physiological gifts to the ring. He posseses the physique of a Mr Universe, though for purists of the sport this in itself is no attribute, and has that rare quality for a heavyweight of being able and willing to throw punches in combinations. He is fast and inarguably carries potency in his punches, but there is very little head movement or the kind of footwork to make you want to rewind the tape. Too, he has yet to go past seven rounds and he was rocked by Dillian Whyte in their domestic clash in December 2015, exposing his vulnerability to a left hook in the process. Again, it bears repeating, in Anthony Joshua we have the most untested heavyweight champion in the modern history of the boxing. His opponent Wladimir Klitschko, meanwhile, is the very embodiment of a tested fighter. A veteran of 29 championship fights out of the mammoth 68 he’s had since turning pro in 1996, the 41 year old Ukrainian has more miles on the clock than he has clock. Yet, still, here he is, hungry to wrest back the title he lost to Britain’s Tyson Fury in 2015. It is staggering to behold: the drive and desire in a fighter who by now has already endured the gruelling experience of 68 training camps, complete with the countless rounds of sparring and hard conditioning each involved. The fact he has come over as the happiest man in the world in the build-up to this fight only serves to confirm the ineffable passion he has for the sport, regardless of the mountain of money it has made him. The pity is that the sport is not so passionate about him. Klitschko, we should not overlook, has a PhD, speaks three or four languages, and in his manner, dress, and demeanour heavyweight boxing could not ask for a better ambassador. But, still, fans of the sport have never embraced him – at least not outside Ukraine or Germany they haven’t – which comes as more evidence of a sport in which dysfunction and vulnerability are more appreciated than self-possession or good comportment. No, we prefer our champions unhinged, unstable, and emotional. It is one of the reasons Mike Tyson was so popular, and why Tyson Fury continues to command such a huge following and fan base. Klitschko’s robotic countenance, the immense self-control and discipline he exudes, is anathema to a boxing public for whom excitement in a fighter is interchangeable with emotional outbursts, histrionics and invective. Given that Anthony Joshua is also a calm and collected character, it seems a wonder that this fight has managed to capture the imagination to the extent it has. Perhaps its the clash of young and old that has people so excited, or the prospect of two genuine physical titans coming head to head. Whatever the reasons, we are talking the biggest fight in British postwar history. Coming on the back of the previous occupant of this particular mantle, Froch v Groves II, just three years ago, this has to count as a major achievement for Eddie Hearn, the promoter of both fights. The question that will ultimately determined both the nature and result of the fight is what does Wladimir Klitschko have left in the tank? Hunger to win is one thing, the ability to win, given his age, is another. If he is to do the business, he will have to break with he habit of a lifetime and pull the trigger, especially on a right hand which against Tyson Fury seemed glued to his chin, where it remained tightly in place throughout the fight. On April 29 he has to throw it and throw it frequently if he is to overcome the younger man. Returning to Anthony Joshua, he will be entering the unknown on fight night, and thus how he handles the occasion will be key to his success. His willingness to press the action, to come forward throwing combinations may make all the difference, even though Klitschko is comfortable fighting while going backwards. However, against an opponent throwing combinations as Joshua does, he won’t have time to pick his shots. And neither will be be afforded the luxury of controlling the pace. Not unless he can hurt Johsua early, that is. As we see, so many variables, so many permutations. Wembley Stadium, here we go again.